Time to sell your Ocean Reef condo? Read about today's resort-market condo buyer. Planning to rent out your condo? Read our RENTAL TIPS to increase your Ocean Reef rental revenue. 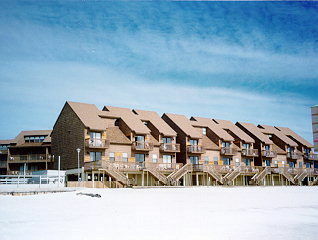 Use our Alabama Gulf Coast Condo Revenue page to find annual rental incomes for Ocean Reef and all other Gulf Shores condos. They have magnificent views of the beach and of the Gulf of Mexico. Each of these two-story units are a whopping 1500 square feet. The complex has a beautiful secluded, heavily landscaped, courtyard area with an outdoor pool. The complex also offers a BBQ area. This complex offers a unique, almost beach house environment that is worth checking out. Please let us know if you would like further info for Ocean Reef or any other condos, homes, or real estate along the Gulf Coast or would like to schedule a private viewing by emailing info@condoinvestment.com or by calling (251) Area-Pro (251-273-2776) for immediate assistance.